When one night with a stranger turns to more . . . Orla Kennedy doesn’t take risks. But, on the eve of a business deal, nerves lead her to share a drink with a handsome stranger, which results in a night of passion she’ll never forget. Then Orla discovers that the man in question is Antonio Chatsfield — her biggest rival! Antonio might be a war hero to his family, but his life feels as empty as his recently vacated bed. He never wanted to return to The Chatsfield, London, but his sister needs his help. And he’s more than willing, until he meets the woman who came apart in his bed just hours before! 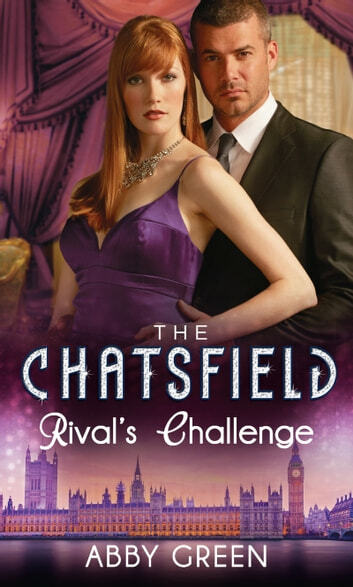 Now Antonio’s sights are set on a merger of a different kind… Welcome to The Chatsfield, London!